Ewan Ross papers are now located at Queen's University, Kingston, Ontario in the Kathleen Ryan Hall and for the most part are accessible to the public. THE WRITINGS OF EWAN ROSS. PAGES 36 PHOTOGRAPHS; USING EXCERPTS FROM NEWSPAPERS AND OTHER SOURCES, THIS IS A CHRONOLOGICAL ACCOUNT OF THE DEVELOPMENT OF ONE OF CANADA'S FIRST( EARLIEST) COMMUNITIES, FROM 1790 TO 1978: PRINTED AT IMPRIMERIE COOPERATIVE HARPELL, STE. - ANNE DE BELLEVUE, QUEBEC, NOVEMBER 1982. THIS TITLE WAS ALSO PRINTED AS A SOFTCOVER. , PUBLISHED 1973; A HISTORY OF EWAN ROSS'S BRANCH OF THE ROSS FAMILY DURING THE 200 YEARS BETWEEN 1772 - 1972. IT INCLUDES THE STORY AS WELL AS GENEALOGICAL RECORDS. THIS WAS EWAN'S FIRST SERIOUS RESEARCH AND RECORDING OF GLENGARRY HISTORY. HE ASKED QUESTIONS OF HIS FATHER, ERNEST C. ROSS; OF HIS UNCLE, JAMES D. ROSS; OF MARTINTOWN AUTHOR, RHODES GRANT, AND OF ANYONE WHO MIGHT CONTRIBUTE A BIT OF INFORMATION, AN OLD LETTER, A MEMORY. HE WAS INTRIGUED, AND HIS GREAT FASCINATION WITH HISTORY NARROWED DOWN TO FOCUS ON THE COUNTY OF GLENGARRY. HE MADE SEVERAL JOURNEYS TO JOHNSTOWN IN NEW YORK STATE TO SEE THE PLACE IN AMERICA TO WHICH HIS ANCESTOR, THOMAS (TAYLOR) ROSS, HAD COME WITH HIS FAMILY IN 1772 FROM THE HIGHLANDS OF SCOTLAND. THE SEVERAL COPIES OF THIS FIRST BOOK WERE TYPED AT HOME AND BOUND IN PAPER BINDERS. THE ONLY ILLUSTRATIONS WERE ONE OF THE CLAN CREST AND FIVE ZEROXED PICTURES OF LOYALISTS AND THEIR FIRST HOMES. , BY EWAN ROSS AND G. I. DOUGLAS CAMERON. JUNE 1978; THIS HISTORY - 38 PAGES. IT WAS EDITED, TYPED AND BOUND BY MRS. RETA TRIBBLE OF ST. CATHARINES, ONTARIO. PAGES 36 PHOTOGRAPHS; USING EXCERPTS FROM NEWSPAPERS AND OTHER SOURCES, THIS IS A CHRONOLOGICAL ACCOUNT OF THE DEVELOPMENT OF ONE OF CANADA'S FIRST( EARLIEST) COMMUNITIES, FROM 1790 TO 1978: PRINTED AT IMPRIMERIE COOPERATIVE HARPELL, STE. - ANNE DE BELLEVUE, QUEBEC, NOVEMBER 1982. THE PRIEST'S MILL AND ITS SUCCESSORS ON THE GARRY RIVER IN ALEXANDRIA. 1979. IT IS 70 PAGES (TYPEWRITTEN) WITH SEVERAL PAGES OF APPENDICES, SOME ILLUSTRATIONS INCLUDING AN ORIGINAL SKETCH BY ARTIST DOUGLAS FALES. 1985 96 TYPEWRITTEN PAGES, HISTORY OF ST. RAPHAEL'S IN SEVERAL PARTS; 1 - HAMLET OF ST. RAPHAEL'S; 2 - ST. RAPHAEL'S CHURCH AND PARISH; 3 - IONA (IN 9 PARTS, GREAT DETAIL); 4 - THE BIG BISHOP. 1978 9 WHY ARE WE HERE IN MAXVILLE TODAY. 1979 17 ECHOES FROM GLENGARRY'S PAST: ST. RAPHAEL'S. 1980 9 ECHOES FROM GLENGARRY'S PAST: THREE GREAT MEN FROM GLENGARRY - NATHAN PHILLIPS, MAYOR OF TORONTO; RIGHT REVEREND WILLIAM J. SMITH, ROMAN CATHOLIC BISHOP OF PEMBROKE; JUDGE ALLAN J. FRASER. 1981 5 ECHOES FROM GLENGARRY'S PAST: DUNVEGAN. 1982 6 ECHOES FROM GLENGARRY'S PAST: THE HIGHLAND CLEARANCES. 1983 5 ECHOES FROM GLENGARRY'S PAST: THE LOYALISTS FROM NEW YORK STATE COME TO GLENGARRY. 1984 5 ECHOES FROM GLENGARRY'S PAST: THE PAT PURCELL STORY. 1985 6 ECHOES FROM GLENGARRY'S PAST: THE STORY OF DOMINIONVILLE. 1986 6 ECHOES FROM GLENGARRY'S PAST: THE GORDON CHURCH AT ST. ELMO. 1987 6 ECHOES FROM GLENGARRY'S PAST: THE INDIAN LANDS OF GLENGARRY. NOTE IN 1985 EWAN WAS TOO ILL TO STAY IN GLENGARRY FOR THE GAMES. 1986 HE WAS TOO ILL TO GO TO GLENGARRY OR TO WRITE ANOTHER PIECE FOR THE PROGRAMME. 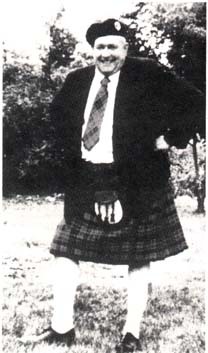 1987 MAY 2, EWAN ROSS DIED. 1967 7TH ANN. P.22 A TIME OF CRISIS. 1968 8TH ANN P.12 THE MILL BY THE RIVER. 1969 9TH ANN P.14 TALES FROM THE PAST. 1970 10TH ANN P.30 MUNRO'S MILLS. 1971 11TH ANN P.20 EASBUIG MOHR - THE BIG BISHOP. 1971 11TH ANN P.32 THE INDIAN LANDS OF GLENGARRY. 1971 11TH ANN P.42 WHAT THE MAPS TELL ABOUT THE INDIAN LANDS OF GLENGARRY. 1973 13TH ANN P.25 GLENGARRY AUTHORS. 1974 14TH ANN P.21 WHAT ON EARTH IS THAT? ( DALHOUSIE'S ROUND CHURCH). 1974 14TH ANN P.39 TWELVE FAMOUS PEOPLE FROM GLENGARRY. 1978 GLENLIFE* P.3 THE ASHES OF THE GLENGARRY FORESTS. 1982 GLENLIFE P.3 SOME GOOD FIGHTS. THIS ARTICLE ( 2 PAGES ) WAS WRITTEN FOR THE HISTORY OF ALEXANDRIA HIGH SCHOOL. , 1984 THIS ARTICLE OF 4 PAGES WAS WRITTEN FOR THE BOOK, TWO HUNDRED YEARS OF SHARING , WILLIAMSTOWN 1784 - 1984. 1972-1 GLENGARRY PLACE NAMES - PART 1. 1973-1 GLENGARRY PLACE NAMES - PART 2. 1974-1 GLENGARRY PLACE NAMES - PART 3. 1975-1 GLENGARRY PLACE NAMES - PART 4. 1984-2 AN INTERESTING DOCUMENT: NOTEBOOK KEPT BY THE " ORDERLY JOE " RE - MEMBERS OF GLENGARRY MILITIA, 1939. 1 - FOR THE STORMONT DUNDAS AND GLENGARRY HISTORICAL SOCIETY, CORNWALL, ONTARIO. 2 - PUBLISHED IN HIGHLAND HERITAGE VOLUME 4 # 1-2, FALL 1987, P. 8 - 19. 3 - ARTICLES WROTE BY EWAN ROSS BUT NOT APPARENTLY PUBLISHED IN THE G.H.S. ANNUAL OR GLENGARRY LIFE. THE ABOVE LIST IS BASED ON INFORMATION FROM MRS. ESTHER ROSS, MRS. ONAGH ROSS, HARRIET MACKINNON AND ALEX. W. FRASER. EWAN MADE ONLY 3 COPIES OF THIS BOOK, AND GAVE ALL OF THEM AWAY. ONE IS IN THE MUSEUM AT WILLIAMSTOWN. THIS WAS A COLLECTION OF PHOTOGRAPHS OF ALL THE CHURCHES, PAST AND PRESENT, OF ALL DENOMINATIONS IN GLENGARRY, WITH A SHORT COMMENT ; RE;- TIME AND PLACE OF EACH. EWAN CALLED THIS HIS " NOVEL ", BUT IT WAS WRITTEN IN THAT TYPICALLY CANADIAN NARRATIVE STYLE: AS HE EXPLAINED, IT WAS THE STORY OF HIS OWN YOUTH DURING THE 1930'S ( WITH SOME VARIATIONS) SO IS AN INTERESTING RECORD OF A CERTAIN PERIOD AND PLACE IN HISTORY. IT WAS ACCEPTED FOR PUBLICATION, BUT NEVER PUBLISHED. IN LIFE AN EXAMPLE IN DEATH AN INSPIRATION. IT WAS WRITTEN IN 1981 AS A TRIBUTE TO THE LIFE OF MRS. JULIANNE TAILLEFER OF ALEXANDRIA. IT IS AN EXAMPLE OF HIS ATTITUDE TOWARDS THOSE WHOM HE ADMIRED. HE DID NOT CARE IF THEY WERE FRENCH OR SCOTTISH OR OF SOME OTHER LINEAGE, NOR WHETHER THEY WERE PROTESTANT OR CATHOLIC OR JEWISH, OR OF ANOTHER FAITH. AMONG HIS UNPUBLISHED WRITINGS ARE MANY PAGES ABOUT THE FRENCH CULTURE AND THE FRENCH PEOPLE IN GLENGARRY. THIS IS ONE OF THE BOOKS WHICH HE WAS WORKING AT AND HAD NOT YET COMPLETED. THESE INCLUDE SLIDES ABOUT GLENGARRY LIFE, HISTORY AND PERSONALITIES, MADE IN 1976 FOR THE WOOD HOUSE, THE S. D. G. MUSEUM IN CORNWALL. HE COLLECTED GLENGARRY HUMOUR WHICH IS ON FILE AMONG HIS TAPES. THIS TALK WAS GIVEN AT ONE OF THE COMMUNITY COLLEGES IN THE AREA, AND WAS ALSO PRESENTED ORALLY TO OTHER GROUPS. HE WAS ALSO PREPARING AN ANTHOLOGY OF POETRY ABOUT GLENGARRY OR BY GLENGARRIANS, BUT IT, TOO WAS NOT COMPLETED. EWAN'S WRITING IN HURON COUNTY WAS USUALLY PUBLISHED UNDER A FICTITIOUS NAME. THE REASON FOR THIS WAS THAT HE DID NOT WANT TO BECOME KNOWN IN THIS LOCALITY AS A WRITER. HE WISHED TO DEVOTE ANY TIME HE COULD FIND TO HIS WORK ON GLENGARRY. HOWEVER, WHEN DIRECTLY APPROACHED, HE SELDOM REFUSED. IN THE 1960'S. AT THIS HE WAS PRESIDENT OF THE GODERICH LABOUR COUNCIL.
. THE PIONEER HOMES, THE FENCING OF THE FIELDS, THE MAKING AND USE OF POTASH, THE HELP OF FARM ANIMALS FROM THE OX TO THE CAT, THE IMPORTANCE OF " WORK BEES ", THE MANY USES MADE OF WOOD FROM HOUSE BUILDING TO ASHES, THE ART OF DYEING WOOL AND CLOTH, THE MAKING AND USE OF LEATHER, SURVEYING METHODS, AND A STUDY OF WEIGHTS AND MEASURES WERE THE SUBJECTS COVERED. EWAN'S RESEARCH AND GENERAL KNOWLEDGE WERE MORE IMPORTANT THAN WERE MY ACTUAL CO-AUTHORING OF CHAPTER I IN THIS EXCELLENT HARDCOVER BOOK. HIS PHOTOGRAPHS WERE ALSO OF GREAT VALUE. 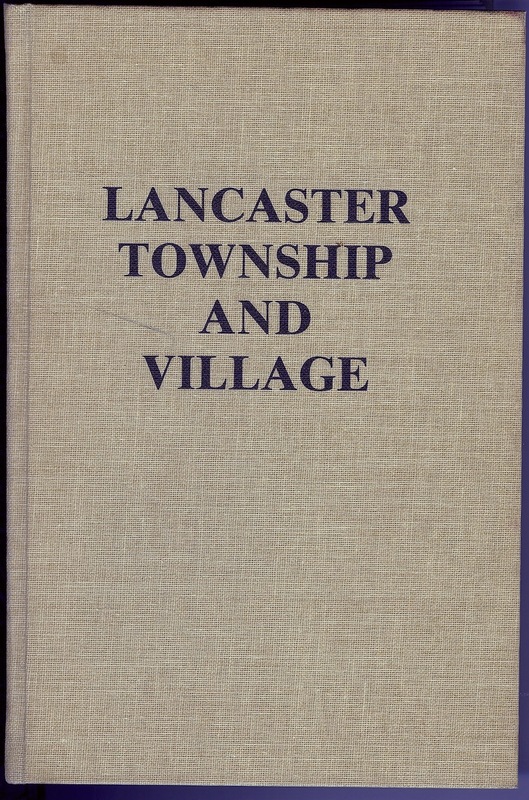 HE WROTE THE FINAL ARTICLE FOR THIS PRODUCTION, SHOWING HOW, DURING ITS 150 YEARS THE TOWNSHIP HAD CHANGED FROM AGRICULTURE TO " SOMETHING ELSE ". HE DID NOT SIGN THIS, AND HE COULD NOT LET HIS NAME APPEAR WITH MINE AND MY CO-WORKER'S AS AUTHOR OF CHAPTER I. HE COLLABORATED WITH DOUG YEO, A SCHOOL TEACHER OF LOCAL PIONEER LINEAGE, TO PRODUCE THE TRAVELOGUES FOR THE BUS TOURS THROUGH THE TOWNSHIP. HIS LAST EFFORTS WERE CONTRIBUTIONS ON THE TRANSPORTATION EVOLUTION IN THE AREA, AND THE FENIAN RAID SCARE, WRITTEN FOR HISTORICAL GROUPS. HE WAS A VERY SICK MAN WHEN, TO HONOUR A PROMISE MADE A FEW MONTHS EARLIER TO A SPECIAL FRIEND, GERTRUDE WILKES, HE PREPARED AND GAVE A TALK ON ANDREW CARNEGIE TO A GODERICH GROUP, FRIENDS OF THE LIBRARY. 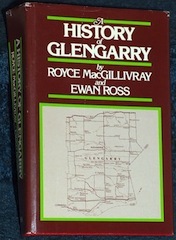 EWAN COULD HAVE BECOME AN IMPORTANT HISTORIAN IN HURON COUNTY HAD HE SO CHOSEN, BUT HIS HEART WAS IN GLENGARRY. IT IS ONLY IN DOING. FOR TO DWELL, ON YOUR LONG JOURNEY. DO WE LEARN THE SCORE. SO YOU TOOK THE CHALLENGE. THE PRIDE OF SO MANY. THIS ENDS THE TRIBUTE TO EWAN ROSS.